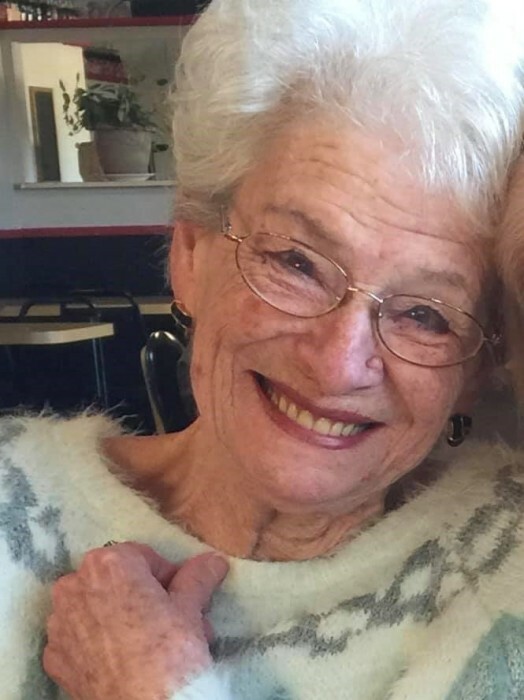 Carolyn Annabelle “Ann” Loudenbarger Lawson, 82 of Gosport, IN joined her Lord Jesus in Heaven on Friday, January 18, 2019 surrounded by her immediate family. Born in Anderson, MO on March 29, 1936. At the age of 9 the family moved to Wichita, KS. She married William Earl Loudenbarger of Altoona, KS on March 29, 1956; widowed in 1985; then married John Lawson of Gosport, IN on November 20, 1998. During her 30-year marriage to Earl they relocated from Wichita, KS to Clinton, MS then to Brownsburg, IN, finally settling in Ellettsville, IN in 1972 where she and Earl established Big Red Kawasaki, later to become Big Red Harley-Davidson. Years of motorcycle/jet-ski/snowmobile, and multiple lines of farm equipment adventures ensued. Her home was her haven early days spent with family gardening and sharing her love of entertaining. Ann was a former member of the Ellettsville Chapter of Tri-Kappa, Volunteer for Meals on Wheels and frequent contributor to Mt. Pleasant Church, Gosport, outreach events where her tasty meals could be offered to many. Ann is survived by her husband of 21 years, John Lawson; daughters Connie Loudenbarger (Tony) Musgrave of Spencer, IN, Donna Loudenbarger (Steve) Mitchell of Gosport, IN; grandchildren, Michelle Sexton (Fiancé: Joe Dixon) Martinsville, IN, Jesse (Audra) Loudenbarger and Jake Loudenbarger of Bloomington, IN. ; great grandchildren, Tony Cristobal, Rebeca Cristobal, Leon Loudenbarger, Lucy Loudenbarger and Ronin Loudenbarger as well as her extended family including John’s siblings, and his children, Jill Lawson Cooper, Dale Lawson and Shannon Osborne and their grandchildren. She was preceded in death by her parents, Carol Grimes and Opal (Wilson) Kinder and Charles Kinder; her husband William Earl Loudenbarger; son, Bret LeRoy Loudenbarger, grandson, Jeremiah Mitchell; her sister, Francis Cunningham (Paul) McFall; and brother, Charles Kinder. She was loved by numerous nieces and nephews and cousins far and near. Ann selected cremation with Chandler Funeral Home, foregoing any formal services; however, a Share your Memory of Ann, memorial dinner will be held at the Mt. Pleasant Church on Burma Road in Gosport, Saturday, January 26, 2019 from Noon – 3pm. In lieu of flowers, donations will be accepted in Ann’s memory to Mt. Pleasant Church Gosport (Envelopes provided on site). Special thanks expressed by the family for the unsurpassed care and treatment during her final days by Dr. Eric Trueblood and the staff of the PCU unit and Emergency Unit at Monroe Hospital.